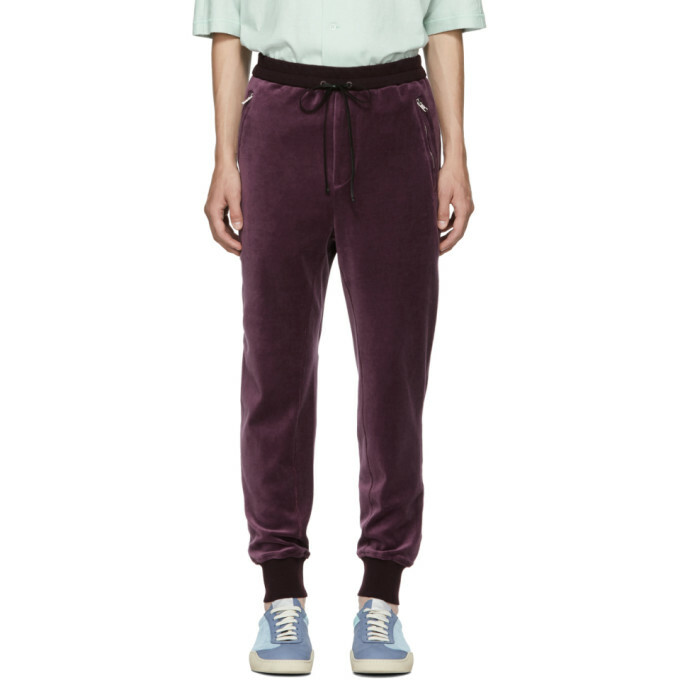 Tapered cotton blend velour lounge pants in mauve burgundy. Low rise. Dropped inseam. Three pocket styling. Drawstring at elasticized waistband. Rib knit cuffs. Zip fly. Silver tone hardware. Tonal stitching.